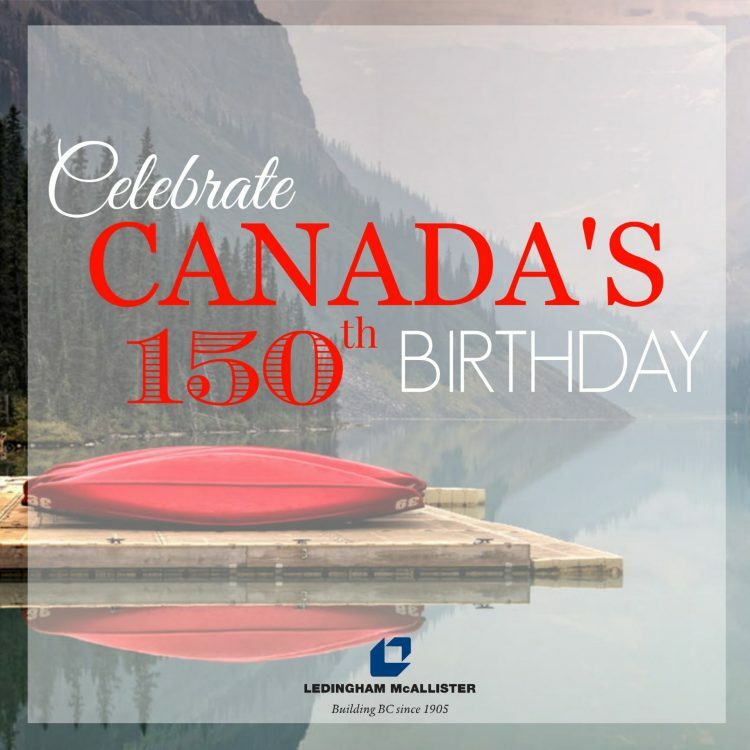 As Canada celebrates its 150th birthday, we reach an important milestone, not only in our country’s history and evolution toward the magnificent place it is today, but also in the physical spaces that we call home. Through this evolution comes the merging of the old and the new, defining the dynamic communities that we are building each and every day. Ledingham McAllister has leant a helping hand within building Vancouver’s rich history. We are proud to say that over 112 years ago, the company began crafting its journey by building some of the most monumental structures in the city, such as the Granville Street Bridge and the Hudson’s Bay Building. We strive to continue on this path by building communities that stand the test of time and continue to collaborate with the ever-evolving world around them. On July 1st take some time to enjoy Canada’s birthday amongst friends & family and appreciate just how far our country has come. Canada, you may be 150 years old but you continue to get better with age! 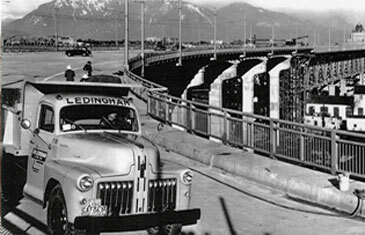 Ledingham & Co. truck on the Granville Street bridge, 1950’s. 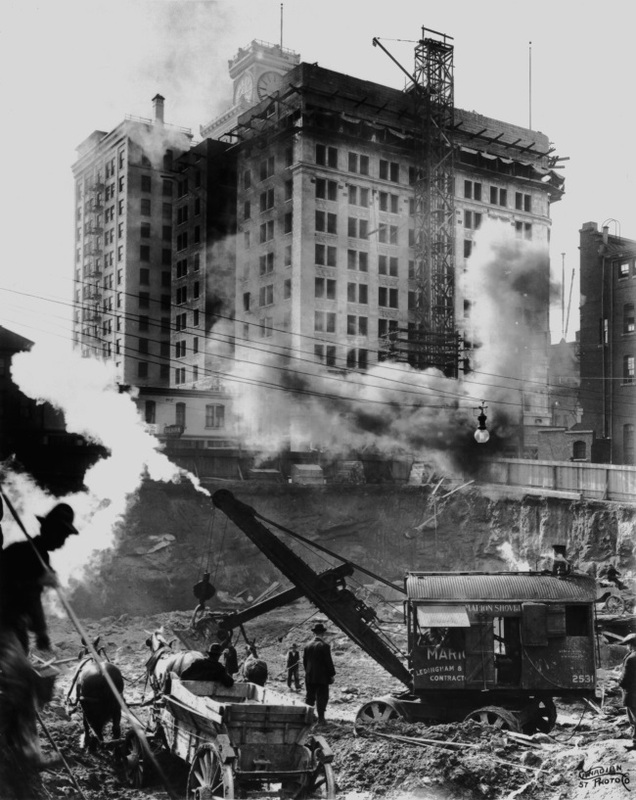 Excavation for the Hudson’s Bay company building, photo is taken from Seymour Street, looking South West, 1911.